Posted on 15th March 2019 | by Rachael Tapping | Leave a Comment on British Science Week competition! To celebrate Science Week 2019 we’re running a competition with John Adams, to win one of these cool science kits! To enter simply tell us which type of science, or STEM topic your child loves most, enter your answer in the box below. Competition closes at midnight on Sunday 17th March. Three lucky winners will receive one of these science kits: Mission to Mars, Thinking Time or Beating Heart. Winners will be chosen at random, and prizes will be sent out buy John Adams. One of the key aims for Whizz Pop Bang is to help as many children as possible to enjoy the awesome world of science. 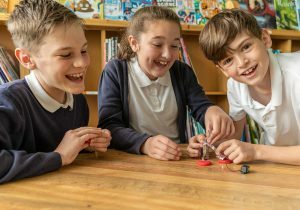 So we’ve created a growing library of top-quality downloadable Whizz Pop Bang lesson plans and reading resources for schools to make science fun and engaging for children and teachers alike. What are the resources for schools? * Science texts and comprehensions, written by teachers, link to the English reading curriculum. They include How Stuff Works, interviews with real scientists and stories of sensational scientists from the past. Subscriptions to the resources are for the whole school, with as many teacher log-ins as required. We know budgets are tighter than ever, so we’re offering schools a 50% discount on the resources until 31st December 2018. 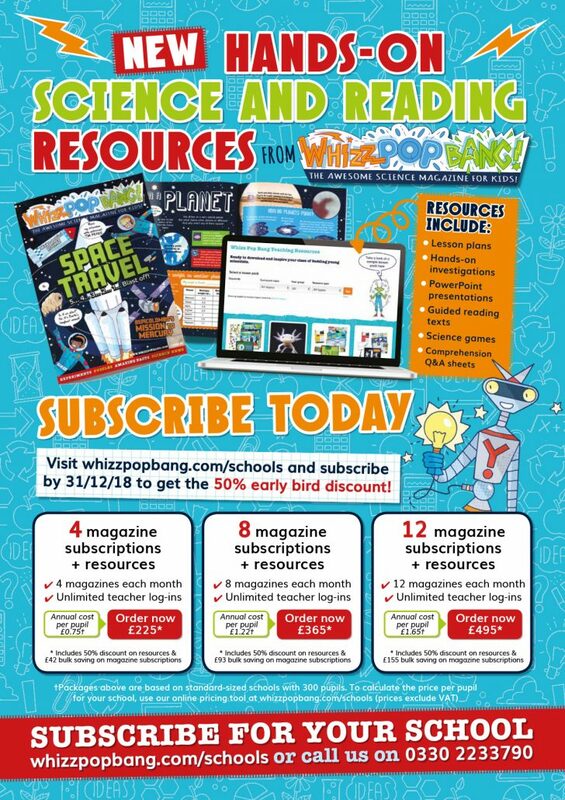 Whole-school access to the downloadable resources, along with 4 magazines in the post each month costs just £225 for the whole year with unlimited teacher logins. For an average-sized school of 300 children, that’s just 75p per pupil per year. 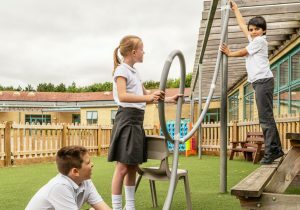 To calculate the price per pupil for your school, use our online pricing tool at whizzpopbang.com/schools (prices exclude VAT). How to celebrate British Science Week 2018! 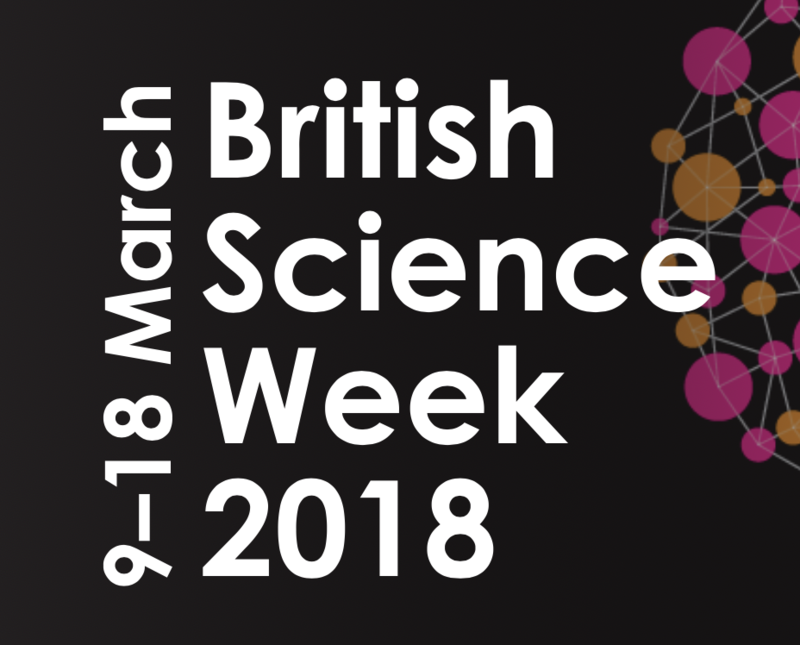 Posted on 23rd February 2018 | by Rachael Tapping | Leave a Comment on How to celebrate British Science Week 2018! British Science Week is a ten-day celebration of science, technology, engineering and maths for kids, families and schools everywhere. Get inspired and join millions of mini scientists experimenting and having fun learning about the awesome world of science. This year British Science week is 9th to 18th March, so it’s time to get organized with your science activities! We’ve got loads of ideas to bring science week to life in your school, so let’s get started. You will need your Whizz Pop Bang magazines (not a subscriber? Order back issues here at £3.75 per mag including delivery) and access to a colour photocopier. This idea came from primary science teachers Kathryn Horan and Toby Tyler. Every week a couple of the children in the class take home a Whizz Pop Bang magazine to share with their families. Welcome to our Whizz Pop Bang scrapbook! Whatever you do, we’d love to hear about it at school, so be sure to let us know or add something into the scrapbook. Have fun! Cover the classroom in posters of inspirational, sensational scientists! 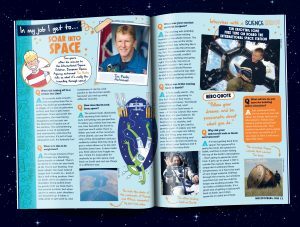 In every issue of Whizz Pop Bang there’s a double-page spread focusing on famous scientists who made history with their discoveries and inventions. Photocopy the spreads and pin up to inspire your pupils! Find out what real scientists do in their everyday jobs on our interview pages. We’ve interviewed over 30 scientists ready to inspire girls and boys to be our scientists of the future! To buy a back issue visit our back issues shop. To buy a back issue (for just £3.75 inc delivery) visit our back issues shop. 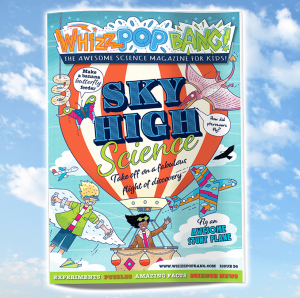 Every issue of Whizz Pop Bang science magazine looks at 10 awesomely amazing things on that month’s topic. Looking at engineering as part of the year of engineering? Take a look at ENGINEERING EXTRAVAGANZA (issue 16) with 10 Awesomely Amazing bizarre buildings, including a toilet-shaped building in Korea! Studying the human body? Check out SPECTACULAR SKELETONS (issue 27) and the 10 Awesomely Amazing bionic body parts, from 3D printed prosthetic hands to ancient Egyptian artificial toes. Is your topic plants this term? Kids love reading about the 10 Awesomely Amazing harvests from around the world in our SUPER SEEDS (issue 26), did you know there are chillies that melt latex gloves? 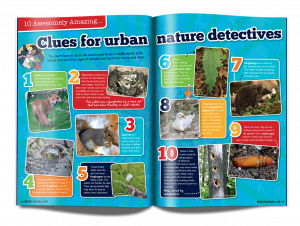 All Whizz Pop Bang magazines are packed full of science puzzles and a quiz to test your pupil’s science knowledge. There are also word searches, jokes, riddles and brain teasers for every age and ability. Turn wet play into a festival of science fun and games! 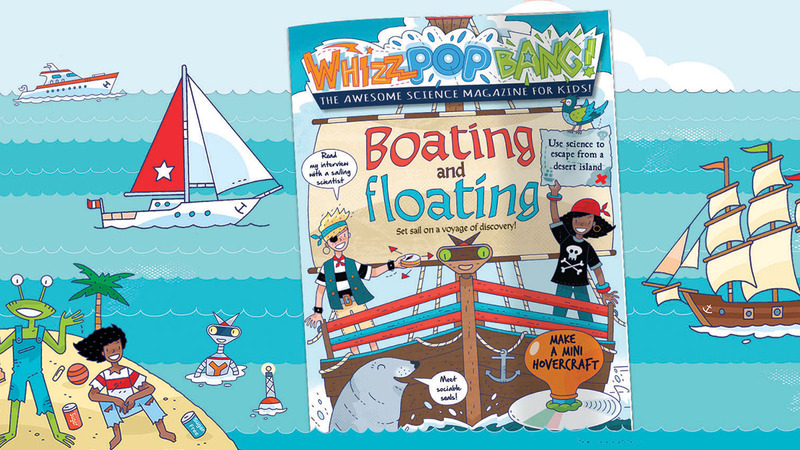 There are hundreds of simple hands-on science experiments and activities in Whizz Pop Bang magazine, and for each one we outline what you need, what to do, and you will find making it ideal for primary school teachers who may not have a science background. Perfect for curious kids and teachers looking for simple science ideas! Check out our bulk discounts for schools here and celebrate British Science Week 2018 with a Whizz, Pop and a Bang! What is The Great Science Share? Following on from British Science Week there are several events going on around the UK. Use these ideas for your Great Science Share; a national campaign to engage young people in sharing science with new audiences. You can get involved as a School, STEM Educator, STEM Organisation and Business.